Hello, everyone. Thank you for coming today, and thank you, Shoan Lo for making a beautiful Ikebana display for this special event. Also I would like to say thank you to Dr Jeremy Breaden from Japanese Studies Centre Monash University for his help in organising this event. My name is Shoso Shimbo, and I am happy to introduce today’s guest speaker, Dr Osamu Inoue. 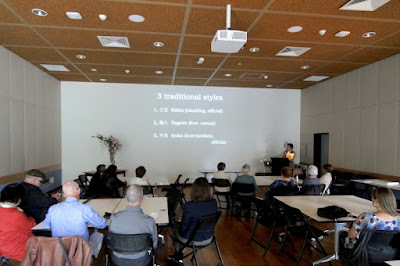 Dr Inoue is an associate professor at Kyoto University of Art and Design, and the vice president of the International Society of Ikebana Studies. He completed his PhD on the Christian Socialism Movement in England from Kyoto university in 2007. In the same year he obtained the status of professor in the Saga Goryu School of Ikebana. Since 2009 he has published a number of papers on Ikebana and this year he published a very important book, The Thoughts of Ikebana (「花道の思想」 ) from Shibunkaku Shuppan. The book is the most comprehensive introduction to Ikebana, its aesthetics and philosophy and is based on a deep understanding of Japanese culture and history. This is a remarkable book that anyone interested in Ikebana cannot miss. It was about 5 years ago that I read one of his papers for the first time. I was so excited to find someone who is studying Ikebana in a properly academic way. Also his research interest was so close to my own. I immediately wrote an email to him to tell how pleased I was. Since then we exchanged numerous emails and we decided to found the International Society of Ikebana Studies (ISIS) with other prominent Ikebana researchers around the world. This is the first international academic society in the history of Ikebana, and we have published three volumes of our annual journal, the International Journal of Ikebana Studies. 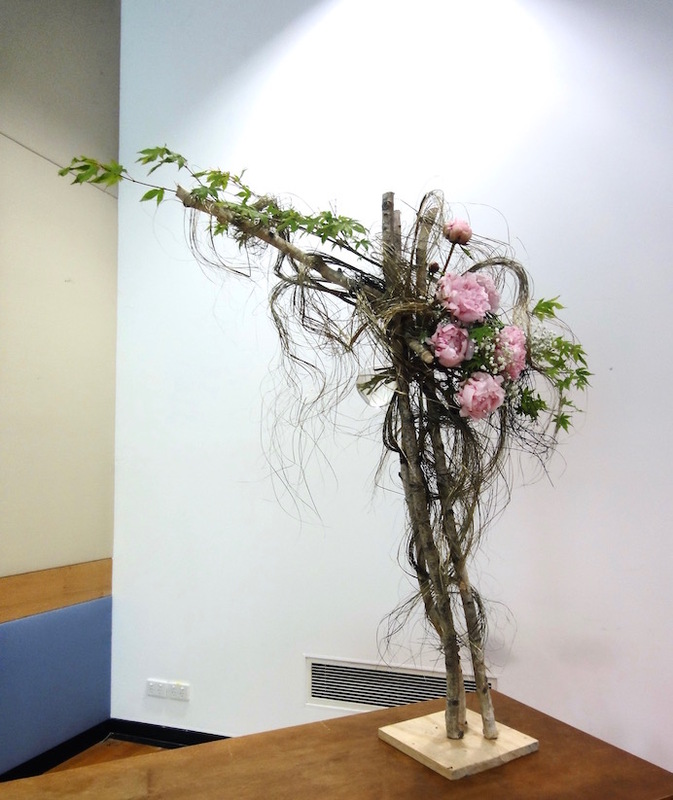 Dr Inoue has been also helping our project, Ikebana Gallery Award. This is the first online Ikebana competition that is open to any Ikebana student. Our blog and Facebook post now reach over 5000 viewers. Dr Inoue has been one of our volunteer judges since 2012. We are very pleased to have Dr Inoue here today to share his insights in Ikebana and research findings from his new book, The Thoughts of Ikebana. Please join me in welcoming our guest, Dr Osamu Inoue.